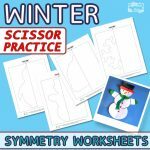 Want to do some scissor exercises? 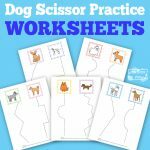 This time we present you a pack of 20 free printable Cutting Shapes Worksheets for kids to practice their skills on. Let’s cut out a lot of different shapes and strengthen your kid’s fine motor skills. Let’s do some paper cutting right away! 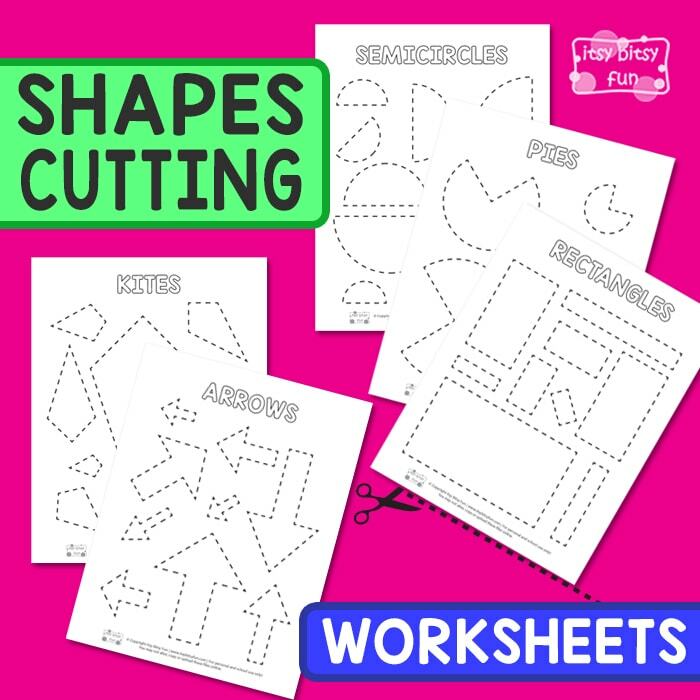 In this free shapes cutting worksheets pack, you will get 20 different pages with shapes. Each page includes a bunch of different-sized shapes, that kids need to cut out. On the first five pages, you will get a page with circles, rectangles, squares, ellipses, and ovals to color and cut. The next five pages include trapezoids, triangles, rhombuses, kites, and crosses. Continue with coloring and cutting out all of the stars, hearts, pentagons, hexagons, and septagons. And on the last five pages, you will see a bunch of octagons, arrows, semicircles, crescents, and pies. Encourage your kids to start off by coloring the names of the shapes at the top of each page. Continue to color each shape nicely – kids can use different markers to color each shape. After the coloring is done, kids can start cutting them out. 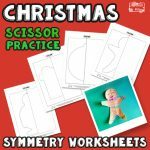 Scissor cutting exercises are great for developing fine motor skills, and with this pack, the young learners will surely get a lot of exercises. The dashed lines will help your kids to make precise cuts. Remember that the proper use of scissors is important, so you can show your kids how they can become better at cutting the shapes out. When all of the shapes are cut out, young learners can also play a shapes recognition game to learn their names faster. 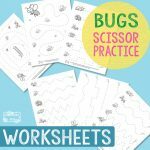 Enjoy the printable coloring and cutting activity! 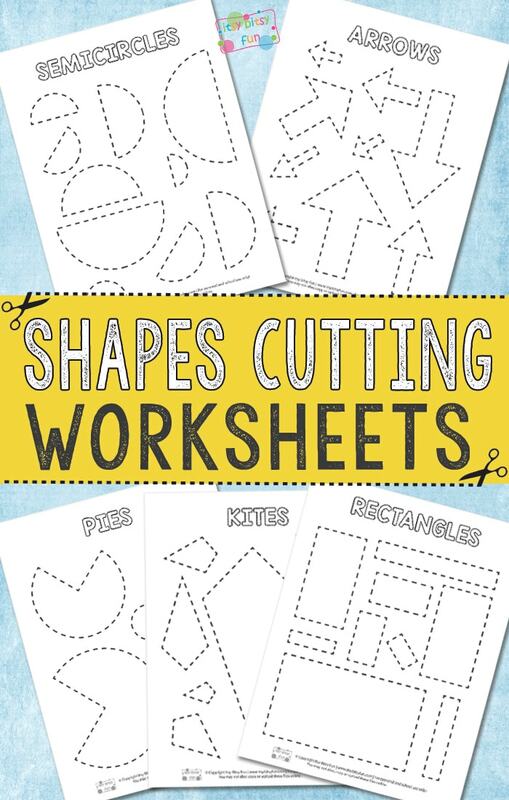 Get your free Shapes Cutting Worksheets here. 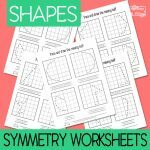 Do some more shapes practice with the Shapes Symmetry Worksheets and enjoy playing the free I have, Who Has Shapes and Colors game.